John F. Kennedy at 46, on his Irish trip in June 1963. What is the best way to properly mark the 100th birthday of John Fitzgerald Kennedy? On May 29, a series of events across the country will mark what would have been John Fitzgerald Kennedy’s 100th birthday. On perhaps a more relaxing note, the John F. Kennedy Hyannis Museum will present “JFK at 100: Life and Legacy,” exploring the Kennedy family’s down time at Cape Cod. “As we mark the centennial of my grandfather’s birth, we renew his call for service, courage, innovation, and inclusion and help a new generation use his example to embrace the challenges of our time,” Jack Schlossberg, Kennedy’s grandson, told Boston.com. 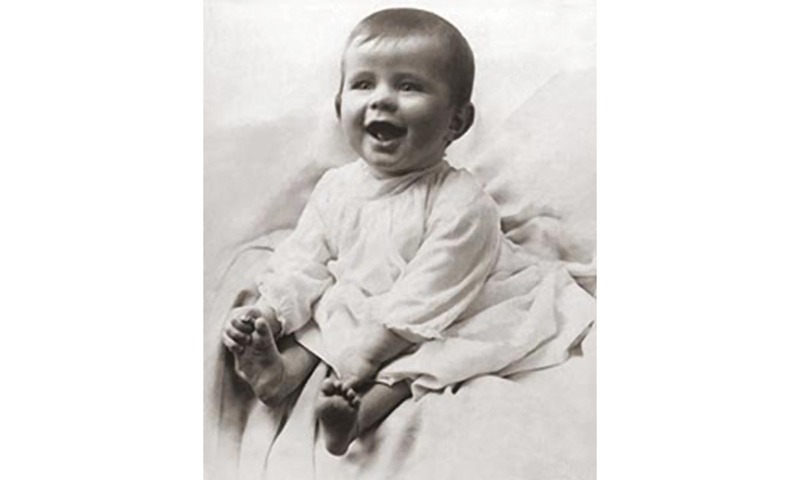 John F. Kennedy as a baby. That’s all well and good, but I’m doing something a little more intimate to mark the 100th birthday of America’s first and only Irish Catholic president: re-reading his slim but powerful book, A Nation of Immigrants. The story of the book in and of itself is interesting, even before you open the covers and get to the first page. Kennedy wrote the book as something closer to a pamphlet for the Anti-Defamation League, the Jewish advocacy group, which was founded just four years before his birth. In 1958, when Kennedy was the junior senator from Massachusetts, the Anti-Defamation League asked him to highlight some of the amazing things that immigrants had contributed to American culture. Before entering politics, don’t forget, Kennedy had worked as a journalist and authored several books, including Why England Slept and the 1957 Pulitzer Prize-winning Profiles in Courage, though it is widely acknowledged that Kennedy provided the theme and supervised its production by speechwriter Ted Sorensen. By 1960, of course, Kennedy had won a hard-fought campaign against Richard Nixon; A Nation of Immigrants was easily forgotten. The Cuban Missile Crisis of 1962 brought the world to the brink of nuclear annihilation. The following year – having watched brutal events unfold in the South – he gave a nationally-televised speech prodding Congress to take up the cause of civil rights. Immigration, though, was also an issue that had to be dealt with. Kennedy believed that an updated and expanded version of A Nation of Immigrants should be released to coincide with a broader debate about America’s immigration policy. In August of 1963, just two months after Kennedy’s famous visit to Ireland, the New York Times Magazine published excerpts from A Nation of Immigrants. By November, Kennedy was dead. Following the trauma – national as well as familial – of his assassination in Dallas, Kennedy’s brother Robert decided it would be a fitting legacy to make sure the new version of A Nation of Immigrants was published. Kennedy’s book reminds us that even quaint-seeming immigrant groups – Germans, Scandinavians – stirred intense controversy, but also made America a stronger nation. Kennedy, of course, had important things to say about the Irish. Perhaps more importantly, at a time of renewed debate over immigration and what it means to be an American, Kennedy’s book reminds us that without immigrants, there may not even be a nation known as America.